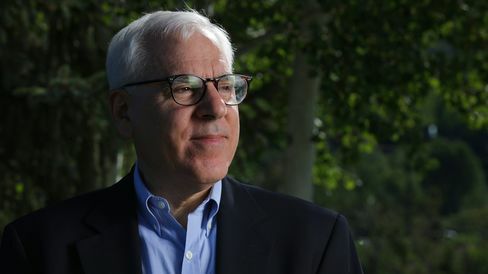 Carlyle Group LP, the world’s second-biggest manager of alternatives to stocks and bonds, may add a real estate offering targeting about 10 percent returns, co-founder David Rubenstein said. Carlyle is evaluating whether clients would be receptive to a so-called core-plus strategy in real estate, Rubenstein said at Morgan Stanley’s financials conference Tuesday in New York. Core real estate includes high-quality, well leased properties such as prime office buildings, apartment towers and shopping malls. Core-plus refers to similar assets that might need extra work to boost values. Blackstone Group LP, the biggest alternative investment firm, manages more than $5 billion in core-plus real estate after starting the offering in late 2013. The strategy may have $100 billion under management in a decade, Blackstone CEO Steve Schwarzman has said. The firm already oversees $93 billion in property. Carlyle, which is based in Washington and manages about $15 billion in real estate, has predominantly focused on U.S. property for its opportunistic strategy, which it started in 1997. Opportunistic real estate investing typically targets returns of 15 percent to 20 percent. The firm’s international investments have fared less well, with one European property fund marked at 20 cents on the dollar. Rubenstein also said alternative-asset managers, which include firms such as KKR & Co. and Apollo Global Management LLC, will increasingly move into traditional-asset management. These offerings would cater to clients seeking to cull the number of relationships with investment managers and also generate steadier fees for the firms, which public shareholders have historically viewed as more attractive than incentive-based earnings. Carlyle’s stock has returned 59 percent, with dividends reinvested, over the past three years. Blackstone’s has returned 300 percent, Apollo’s has returned 144 percent and KKR’s has returned 140 percent.